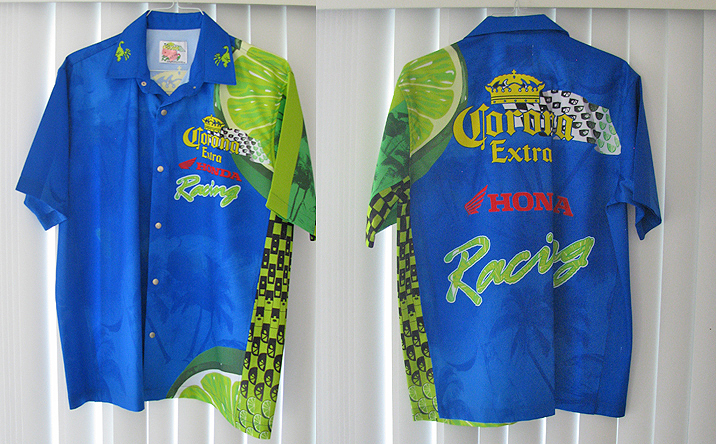 A limited number of Corona Extra Racing paddock crew shirts are available now for one time only - until they're gone. These highly collectible - and very wearable - pieces of racing memorabilia can be yours for a ridiculously low price here. Please contact us here if you'd like more detailed information.